Hello! How's everyone's Monday been? Good? Bad? Ok? Should we not discuss it? Monday's can be a little manic and blah, so what better way to end it than with a fun DIY video? Ok, maybe that's not what you need but let's face it, it's better than going to bed in a bad mood, right? Over the past couple years since birthing my little business (sounds a little weird and creepy), I've been asked on numerous occasions how I do this and that. I've shied away from this mainly because I've not had much time but also because I've not known what the protocol was for this as a business owner. What's ok to share and what's off limits? I've received so many emails from others telling me how much inspiration I am to them. It's a huge compliment and one that I take to heart. A DIY tutorial is a way to inspire others while sharing your talents. 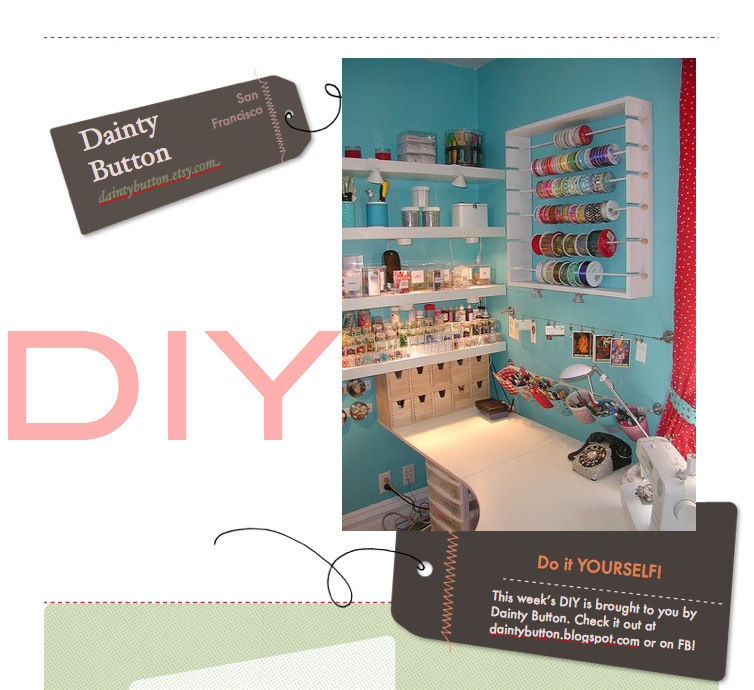 That being said, I've decided to do some DIY's and hopefully be a little inspiration to you crafters out there. I might bring on special guests to bring in their talents or it might just be lil' ol' me. I've decided to post a fun DIY once a week, maybe twice if I have time and it doesn't bore everybody to death. I chose today's DIY from a product that was in our etsy shop Dainty Button at one time. This happened to be one of our most popular items and I figured it was a fun choice. I hope you enjoy it. Feel free to share it with others and we'd love to hear your feedback. Click on the link below to check out this week's fun DIY video! Enjoy! I love DIY.... Thanks for sharing the bow tops! !